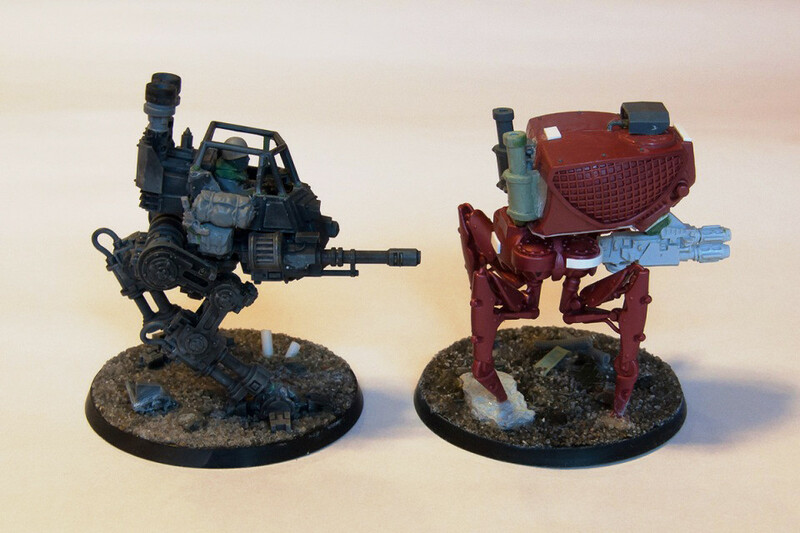 Some other stuff: a trio of battle-automata that will count as IG sentinels. 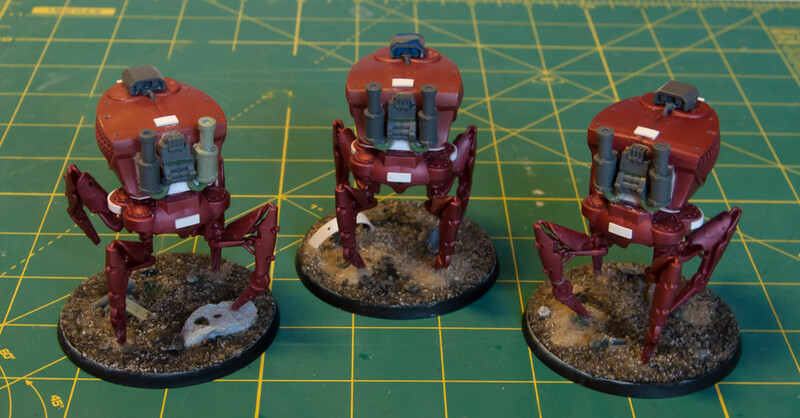 The idea for these actually came a long time ago after reading Abnett's "Malleus". 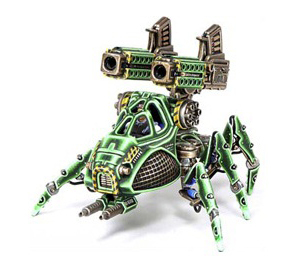 In it, magos Bure utilised some kind of Stalker units. 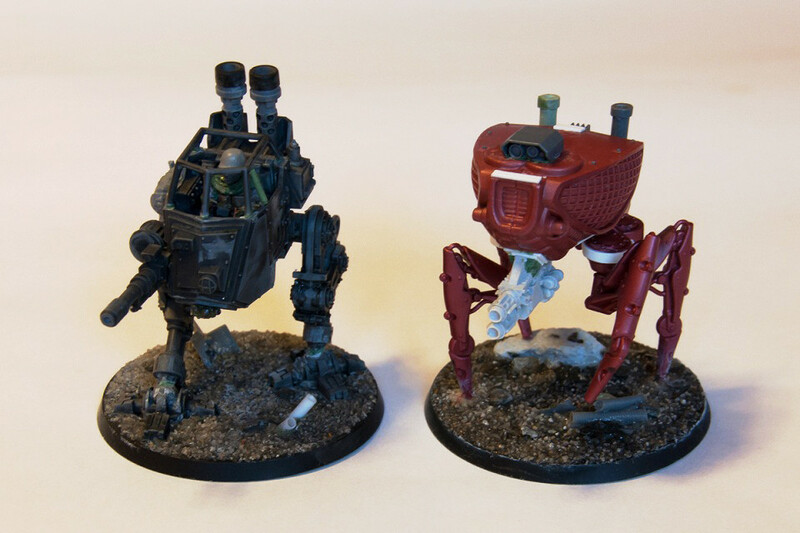 I based these conversions on vague description from the book, making them a fast moving autonomous servo-automatas that an Explorator expedition might utilize. They cold be used to probe new worlds, searching the locations of interest with their powerful sensors and engaging potential enemies with built-in weaponry. An excellent idea! 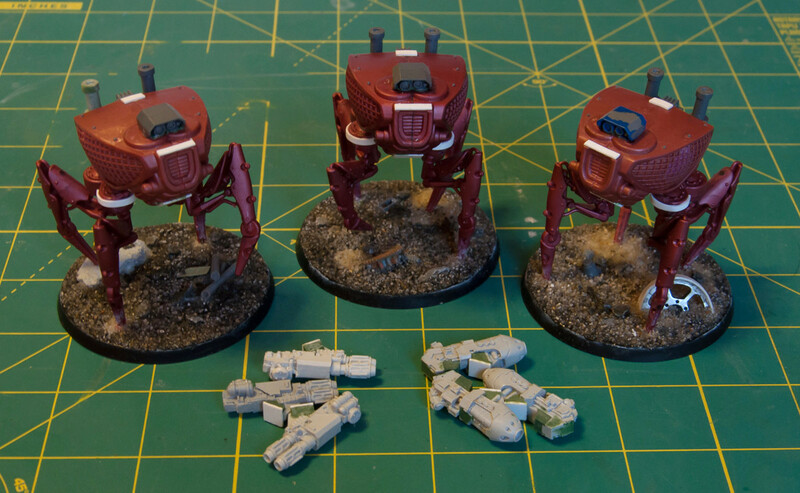 I have ordered some in to make some Sentinels for a Genestealer Cult force. Great stuff! Thanks, man. Definitely share your version, it will be interesting to see what you end up with!